Light Tribe of Terra, the star nations gather around you to bring forth this message – a message which will greatly encourage and uplift you! For the time window in which you find yourselves immersed is one of great joy, one of great hope! And indeed it is a shifting point out of the matrix in which you have been trapped, and into a new reality which births as you hear these words. The first 3 months of 2017 have been an opportunity for many of you to reassess your priorities. There has been a portal open, allowing a frequency of radiation higher than ever possible before to reach your planet. And because of the level of frequency at which you are now vibrating, you have been able to accept and partially integrate the light precipitation offered to your planet from the star nations working through the higher dimensions; down-stepping light-encoded sacred geometry frequency through your KA templates at the top of the back of your heads , and into your circuitry. The time has come for blueprint activation – for your original blueprints to be felt, experienced and truly activated within your multi-dimensional Light-body and within all layers of your beings, so that at last you truly understand and experience yourselves as multi-dimensional masters, entirely in charge of your realities. And so, dear ones, as you have accepted these frequencies, you come to the turning point which is marked by your March equinox, where you truly begin to see through the deceptions easily. Discernment becomes much much easier for you, and you are less confused about the information disseminated now through the media – not only the hard-core media of your governments, but through all layers of media, some of which puts itself forward as spiritual, and which is not. You are able to read or listen to information and simply wave away that which does not resonate with you - because your ability to feel, hear and see truth, integrity and words of wisdom is activating right now within your third eyes. For some time now we have given you ‘guided meditations’, and within these you have been directed to breathe in certain ways; to stay aware of your breath, sometimes controlling it in a particular manner. You have been encouraged to visualise light rising or the light within each chakric wheel within your light body system. You have been encouraged to call light towards yourself; to call your energy back; to open your heart and to connect yourself fully with the Earth Mother. You have been encouraged to feel your angelic wings expanding from the space between your shoulder blades; to activate your prana tube, connecting yourself with all-that-is-above and all-that-is-below. 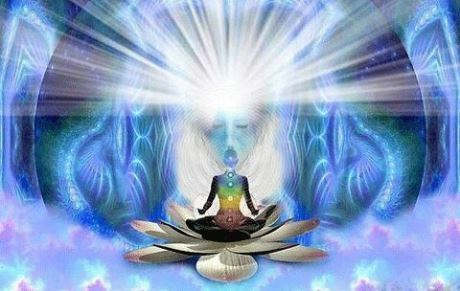 These are but a few of the methods which we have been using to initiate you into being able to see light; being able to feel yourselves as Angelic Light- beings; being able to sense the crystalline nature of the more refined aspects of yourself. And so your extra-sensory perception has been accelerated or activated, and it has become more normal for you enter into the INNER VISION – the inner perception of yourself and the way in which your energy interacts with the world around you. And it has become more normal for you to associate your inner centre-point as your heart – to truly feel the world and experience it from that inner chamber which has its own intelligence. And we say to you now that as you reach this turning point in the most momentous year thus far in the dawning of the NEW AGE on your planet, that you will be able to feel the truth behind certain phrases which might have become platitudes. Consider now that you are able to live your joy; that you are able to choose to be happy, letting go of the old model in which circumstances need to be manifesting themselves in a certain way before you are able to feel happy. Close your eyes, connect yourselves in now with your breath, and with your that centre-point, your heart – smiling and allowing yourselves to dip into the heart energy and to feel the expansion which comes from it. As you open into the heart energies, becoming more bliss-ful now, you understand on a completely new level what it means to choose to be happy, regardless of circumstances presenting in your life in this moment. You are always able to choose to be happy – to choose happiness or joy; to choose balance; to look to wards the light, regardless of what is presenting. Breathe in deeply now … and let go through your mouth, sinking into that still-point at the end of the exhalation – and notice how one deep breath is able to change your frequency and bring more balance and peace. Become aware of how our lessons on the breath; breathing consciously, truly feeling how tuning into the still-point that comes at the top of the inhalation and the bottom of the exhalation is a method of transformation – how we are training you to feel the interface between your breath and your energy – between your physical breath and the light or energy of which you are made. These spiritual concepts and skills become easy now, in 2017 – easier than ever before to access, to comprehend, to truly master. It is necessary, dear ones, to take time out from the usual matrix of everyday life, and to dip into an experience of yourselves as flowing light and energy, focussing on your breath – learning how to use your breath as an interface between the physical and the energy worlds, so that you comprehend internally, through your own experience, the true nature of your being. I choose joy over suffering. I choose integrity over deception. I choose light over dark. I choose expansion over contraction. I am the master of my reality. I am a multi-dimensional being of light, angelic in nature and here on this planet to serve. These affirmations of your true being; your nature and your purpose are easily comprehended now, in the shifting energies that come. And you observe that as you re-train yourselves into this way of thinking and being, you become magnetic to that which brings more joy; more abundance, more opportunity for service, more love and acceptance, more Light Tribe and Soul Family into your reality. And So It Is, dear ones. We are here to assist always. Namaste.